Our custom ramps are for sale now! Thanks again for exceeding expectations on so many levels. Women In The Mountains is like being in an excellent restaurant! You are the “chef”... because it is obvious that you have a high level of expertise, meticulously prepare, and strive to ensure that the “cuisine” is presented in the best possible way. And it is clear your goal is for the customer to come away with a special experience. To get away from the food language for a minute, it really comes through strongly that you want to share the unique pleasure and joy of mountain biking. Its not about how cool you look, but rather the feelings of satisfaction that moving in harmony with the bike and the terrain can bring. I especially liked watching the way you demoed skills. Very controlled and precise, less-is-more kinds of movement. To me that is the mark of an expert. Showing how just the right amount of exertion at exactly the right moment. It looks beautiful and effortless, but of course, it takes years of hit or miss, trial and error effort to get to that, not to mention some natural gifts. Jealous! Sigh. But watching you does give something to aim for. And I think something realistic and achievable, which is the attention to detail and precision in small movements. And simple awareness of body/bike position. Kind of like mindfulness, almost, if you’re into that type of thing? With your progressive, incremental approach to skill building, you provided a sort of template to use in "learning how to learn” independently, which was one of my main goals of the clinic. Mountain biking is a weird thing to learn as a 57 year old female. Very hard to navigate the Youtube world of instructional videos without feeling like riding manuals for a mile and sending huge whale tale jumps are the essence of the the sport. Your approach gave me more of a sense of how I (with all my real world limitations) could get to know my bike and myself a bit better, on my own terms. Feeling what was happening with the small movements that ultimately create balance and control that you should have before going on to bigger challenges. (You gotta start where you are, right?) Beyond that, you convey a much needed, at least for me, sense that its OK to be just where you are. In fact, it’s good. Kinda like a self-esteem, yes-I-do-belong-on-a-bike feeling. Rather than a sense of “go big or go home”, the culture and marketing of these kinds of male, youth oriented sports tend to convey. An aside: I mentioned I took another clinic one recent evening at Trailside. The park was sooo crowded with mostly young males. The instructor had us standing in the brush to the side of the landing of a feature, while we waited to walk back and do laps of it. There were lots of folks riding the same feature coming through. We had to navigate a crowd, at least it seemed like a crowd to me. I had never even been in a bike park before and was way out of my element. I got into mountain biking to be in nature… Am not good in crowds! While I was standing there, a guy actually purposefully skidded his rear wheel at me and sprayed me with dirt. It made me feel terrible. Although I must say, it may have made me angry enough that I then rode with more focus and intensity. Aggression, even? (Maybe I should have just laughed it off, but I was already pretty freaked about the level of difficulty of the clinic. I partly blame myself. I didn’t have enough (ok, any) experience riding wooden features to be doing drops off them and should have probably bowed out. It’s a miracle I didn’t get hurt!) Your clinic was an antidote to that experience. You created a safe and such a welcoming space for us and that means the world to me. So, above, I also used the word “banquet”. That’s because of the content of the clinic being so full. Like a really big buffet. You explained that you don’t usually teach that way and usually do the second half of the clinic as a trail ride. I can see why you do that of course, but I kind of enjoyed the skills only curriculum, because, for me, it gave me more examples of “learning how to learn”. Often, we rush off to ride with friends, pushing ourselves to do milage and terrain, without properly warming up or even getting a sense of the bike underneath us. When I ski my first run of the day, I always do a few warm up stance and balance moves so I can feel the “sweet spot” of the skis. Doing the drills at slow and careful speed really helped me internalize some stuff about how the bike behaves. And gave me a safe opportunity to play around with speed, gearing, and timing/intensity of movements, etc. When you’re on a trail, you don’t usually have that opportunity. I’m going to try to integrate an abbreviated version of some of your drills into the beginning of every ride, I think. I followed up Sunday with my own ride. I rode “Kruzer” at Solitude and was able to do sections of the trail I thought I never would. One especially: a curvy, rock garden drop with a steep rocky switchback at the end. I felt like I could slow down, and find a line, I think because I was in better balance from some of the slow drills (and ratcheting - life changing!) Even the simple braking practice was something I had never taken time to do before. It’s the little things! Rather than just doing a “Hail Mary” and hoping my awesome bike would take care of me, I felt in control enough to ride more smoothly and easily. Picking and choosing my battles, without working so hard to overcorrect and then overcorrect the overcorrections (exhausting) or feeling on the verge of a crash. That is an awesome feeling. Another awesome trail practice opportunity yesterday. Rode Corner Canyon for first time, Vertigo Trail. Pretty big berms! Definitely a different feeling than a tennis court, but instead of freaking out, I felt like I could trust myself to experiment with finding the right speed and line to take. What a fun trail! Because so smooth, didn’t have to ride so judiciously like I rode on “Kruzer”, but instead could experiment with speed. Still a lot to learn there, but feeling optimistic I can make some progress. Another big thank you for directing my attention to the handlebar/controls setup thing. I definitely didn’t ignore your advice about moving the controls out farther. Just needed to take some time with it. I was just too flustered first thing in the morning to think about it. I have been messing around with that the last couple days. In addition to moving the controls out, I also angled them differently. I think the brake levers were tilted up too much, which was forcing me to do a whole bunch of other stuff up the kinetic chain, as they say, finger to wrist to elbow and shoulder. With the levers tilted down a bit, now all of a sudden I have more range of motion and can get those elbows out. Maybe even more able to move body forward over the bars a bit more. Really appreciate your observations about the importance of setup as well as elbow position. Thank you, I think it's going to make a huge difference. Our coach Shelly Wedge was in the New York doing snow yoga! She is amazing year round! If you’re looking to improve your resort skiing, call @altaskiarea for lessons with Shelly or @pcski for lessons with our coach Kristen Lane! Huge thanks to Jamis Bikes for supporting me (Erica Tingey) for the 7th year in a row! Together we are working to get more women on bikes each year! 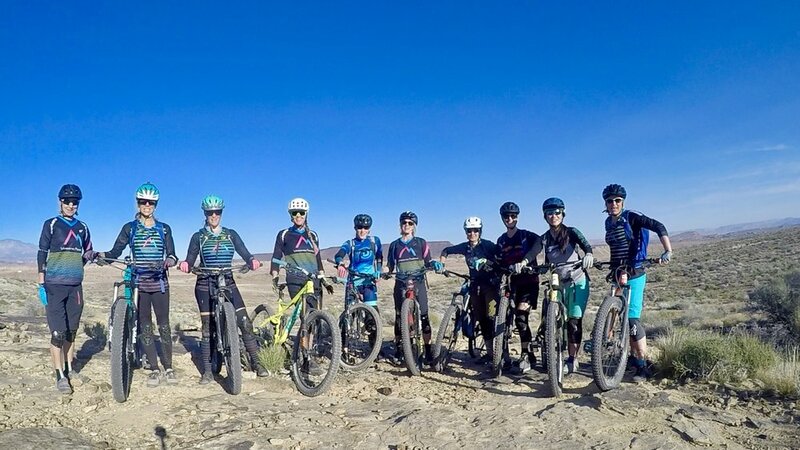 Their support of Women in the Mountains means we get to host more retreats and offer more demo bikes in 2019. Many thanks for supporting my professional racing career and now my mountain bike skill company. 2019 is going to be our best year yet! November 20, 2018 - Northvale, New Jersey : Erica Tingey has been passionate about mountain bikes for over a decade. She started out racing locally and quickly progressed to the professional ranks on the national and international level. After five years racing for the Jamis Factory team, she was eager to find an outlet to share her love of mountain bike riding while encouraging women from all walks of life to deepen their own love for the sport while honing their skills. 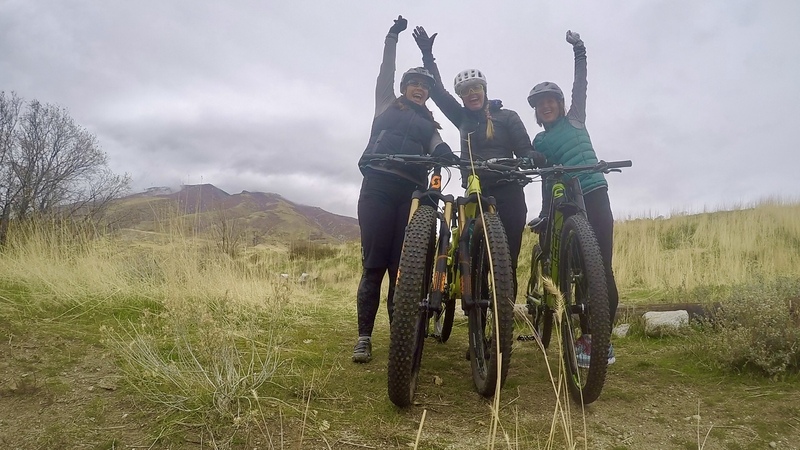 During a conversation with Jamis Bikes company president Carine Joannou, the idea of hosting a women's luxury mountain bike retreat in Park City, UT was hatched. The dream became a reality with the launch of Erica's, Women in the Mountains. 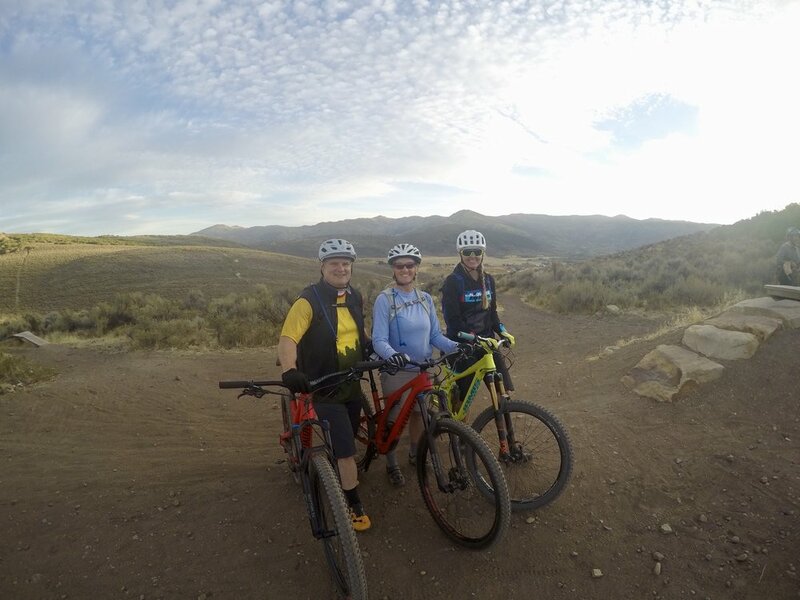 "I've been taken with Erica's drive and passion for mountain bikes ever since she first joined the Jamis mountain bike squad. She was looking for a way to bring women together around the sport she loves and she's done a fantastic job growing Women In The Mountains." said Carine. Women In The Mountains has grown from hosting a handful of events, to a full annual calendar with five staff members! All of the coaches are PMBIA certified (professional skills coach) and clinics are held for all riding levels around Utah, Nevada, Lake Tahoe and New Zealand. These women-focused skills clinics provide the opportunity to enhance mountain biking skills in a comfortable and relaxed atmosphere. 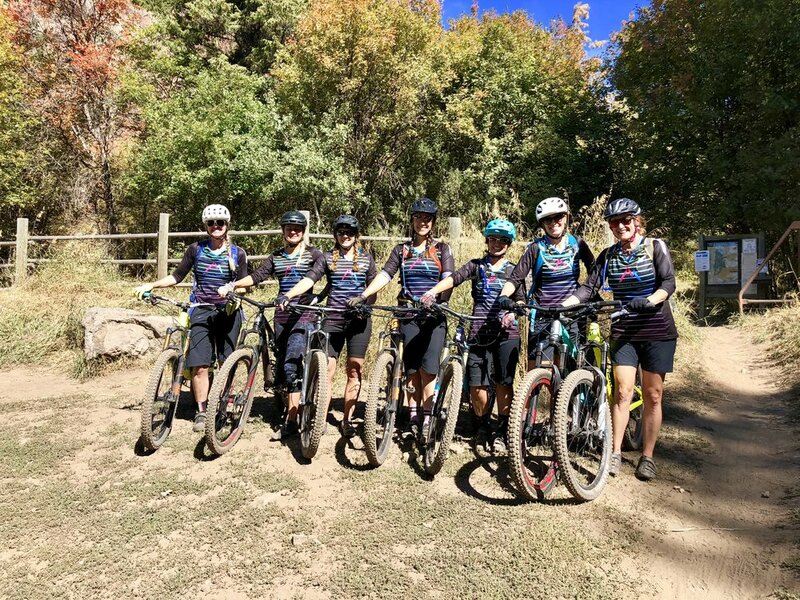 For 2019, Jamis is providing demo bikes for Women in the Mountains clients who are experienced mountain bikers as well as participants who are just making their way into the sport. The partnership between Women in the Mountains and Jamis Bikes has seen more women participating in cycling in a highly inclusive and inviting environment. As it states on their website, "Bring your love for bicycles, an avid appreciation for the outdoors, and a smile!" For more information about Women In The Mountains mountain bike retreats, visit: www.womeninthemountains.com. Take a good look at this group of strong women, they were totally rock stars today in our intermediate clinic! They were supportive of each other and responsive to coaching, that combination made for total success. We developed the skills in our intermediate riders to ride this natural drop. In order to ride it smoothly, you have to carry your speed through uneven terrain and really spot your landing. They were all up for the challenge and they executed it perfectly! What a fabulous day in the desert with this group! Watching them progress from the beginning of the day to the end was astounding. Some of them had never ridden a mountain bike and by the end of the day they were taking on rocks and demanding terrain. So rewarding for the coaches! Watching these women ride up and down everything yesterday was incredible! They challenged themselves in new ways and were rewarded with the feeling of accomplishment! Smiles and friendships all around! DThese women booked a session when we thought it was going to be warm....instead, it was a blustery 40° which called for down jackets! 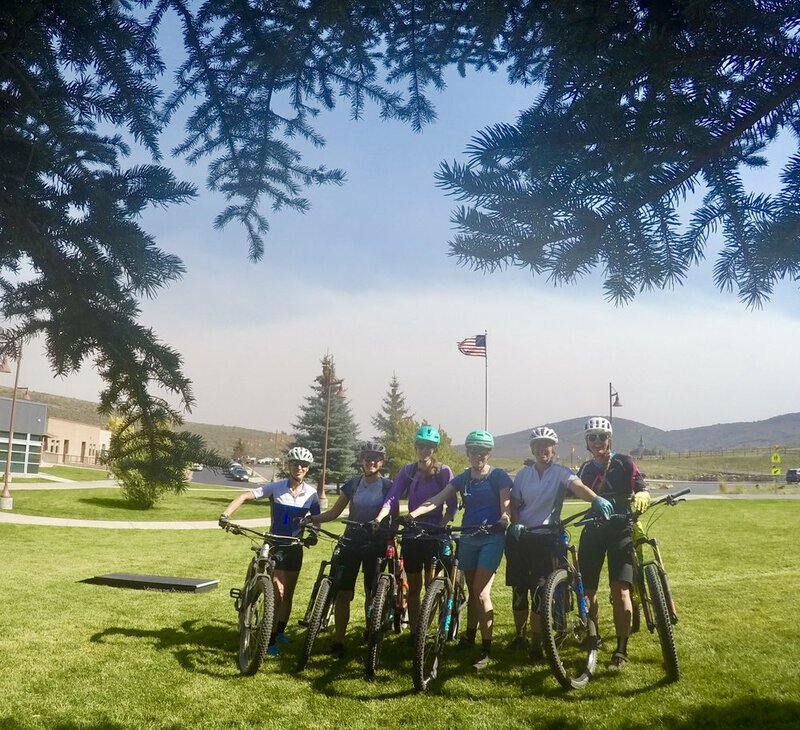 Kate is headed to St. George to ride with friends this weekend and she hasn’t ridden a mountain bike in many years (and never ridden a modern mountain bike). She wanted some coaching to be prepared to ride the rocks and sand that the desert offers. After a couple of hours she was surprised at how much there was to learn and now she feels more prepared to ride desert singletrack! Nora is a repeat client (thanks for referring your friend and supporting her in this semi-private). She has dialed in her skills and now she works to ride smoother every time. Her riding is beautiful and effortless (probably because of her great coaching!). Way to brave the elements today friends, we were the only riders out there. We had the honor of working with the @backcountry executive team today! What an incredible group of humans. They perform so well in every area of their lives, including on their bikes! Every one of them gained new skills and insight to bike handling. Stay tuned for more details and rad riding photos. Couples goals right here! Tiffany and Paul are visiting from Vermont and both wanted to increase their skills. They both have many years of riding experience and had never taken a lesson from a certified instructor. Within the first 10 minutes they said “I had no idea I could that! I didn’t know my bike could do that!” That continued for another 3 hours:) They were floored by how much they learned and can’t wait to take their skills to The Crest today! 3 of these women were @backcountry employees. They bring a fun dynamic to our group! Meet Melissa, business owner, mother of 4 and avid mountain biker! This was her second private session this year and she was wanting to get dynamic on her bike! Pump tracks and manualing up and downobstacles were her goals. She absolutely succeeded in both! She is going to practice on her local pump track in Heber so she can keep up with (then outride:) her kids and husband! Friday’s Beginner Clinic has women ready to rock and roll! Coach @wedgeshelly had them ride rock gardens and rollers. So cool to watch them progress from the beginning of the day to the end of the day. They are now ready to take on all of Round Valley now! Really great private session with Dr. Jennifer Allen, the owner of @porticacosmetic! She came to our desert clinic in May and wanted to review some of her cornering skills. The improvements she made today were incredible! Corners have been challenging her and after building a few skills, she was confidently taking corners at speed. Not only can she ride her bike really well, @jenallen1025 was an attending physician at the Mayo Clinic for 10 years before returning to Utah and opening her own practice. She is a mother of 4 and such a wonderful and generous person to be around! Our summertime “intro” series concluded with a great ride, putting all the new skills into place. These new riders rode a couple of rock gardens that seemed visually daunting. Everyone was psyched on the progress over the 4 week time span!